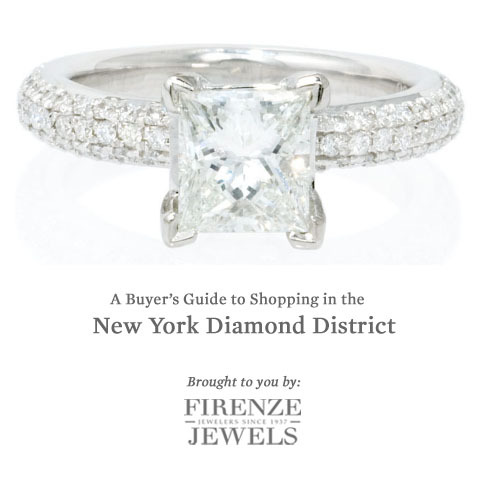 | Page 5 of 18 | Timely information about diamond engagement rings and other exquisite jewelry. The world’s largest internally flawless and colorless diamond is set to auction at Christie’s in Geneva on November 13th. The cushion-cut marvel weighs in at 76.02 carats and is expected to sell for over $15 million. 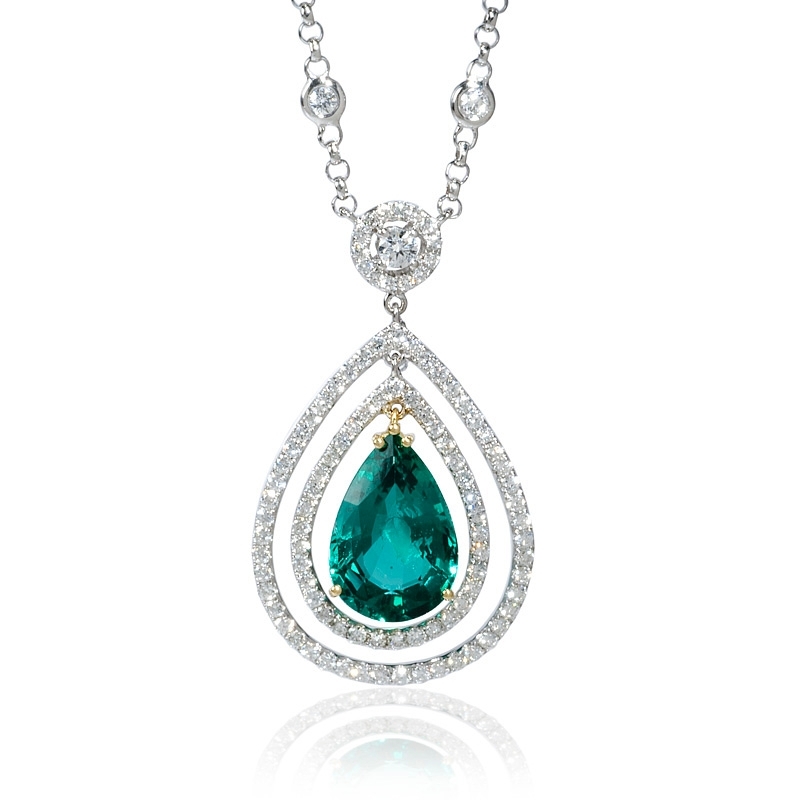 It is said the origins of the stone can be traced to the Golconda mines in Central India. 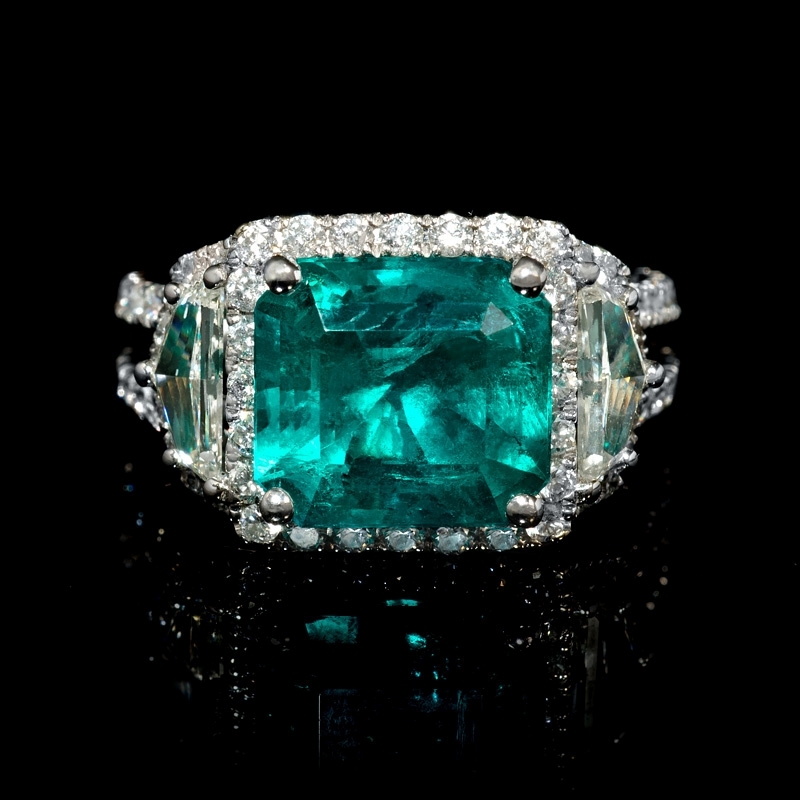 “The legendary Golconda mines in India produced some of the world’s most famous diamonds, including the Dresden green, the blue Hope, and the Koh-i-Noor (in the Royal Collection at the Tower of London),” said Rahul Kadakia, head of jewelry for Christie’s Americas and Switzerland. The Archduke Joseph Diamond was named after one of its former owners, Archduke Joseph August of Austria, a military prince from the House of Hasburg. While there’s an air of mystery that surrounds the date the gem was initially acquired, all that is known is the royal family owned the stone until the 1930’s. Some time before then, the diamond was passed on to the archduke’s son, Joseph Francis who kept it deposited in a bank throughout World War II. The whereabouts of the diamond remained unknown until 1961, where it reappeared at auction in London. Over three decades later, the diamond made another grand appearance at Christie’s in 1993 where it sold for $6.5 million (est. $10.5 million in current USD) to an anonymous buyer. In 1999, the diamond was sold in a private sale where it was subsequently re-cut by the new owner. It was during this process where the stone’s clarity grade was upgraded from Slightly Included (SI-1) to Internally Flawless (IF) after sacrificing 2.52 carats of the stone’s original weight. Sofia Vergara dazzled in a shimmering mermaid inspired Zuhair Murad gown with over 175 carats of white diamonds. Vergara’s jewels included a set of dramatic pear shaped drop diamond earrings (45 carats), a diamond ring with two center stones (20 carats), a marquise cut diamond and platinum bracelet (25 carats), an intriguing diamond serpent bracelet (10 carats) and a 75 carat diamond cuff bracelet. Lucy Liu arrived wearing one of the most interesting ensembles of the evening, a silver strapless Versace gown composed entirely of metal. The ‘Elementary’ actress paired her bold, contemporary look with classic style jewelry, including a set of 30 carat diamond studs and a diamond platinum right hand ring. Sarah Hyland worked with Georgina Chapman of Marchesa in designing her dove-grey gown. Hyland embellished her look with a pair of diamond and ruby cluster earrings, a diamond and ruby right hand ring and a diamond and platinum bracelet. Presented just a week ago during London Fashion Week, Nicole Kidman donned a striking Antonio Berardi Spring 2013 gown with Christian Louboutin Vampanodo sandals. The Australian actress completed her look with a bold set of diamond and carved lavender jade drop earrings. Christina Hendricks paired her custom metallic Siriano with a set of diamond and ruby dangle earrings and stacked cuffs and bangles embellished with diamonds, rubies and jade stones. Jessica Paré radiated on the red carpet in a custom white Grecian gown by Jason Wu. 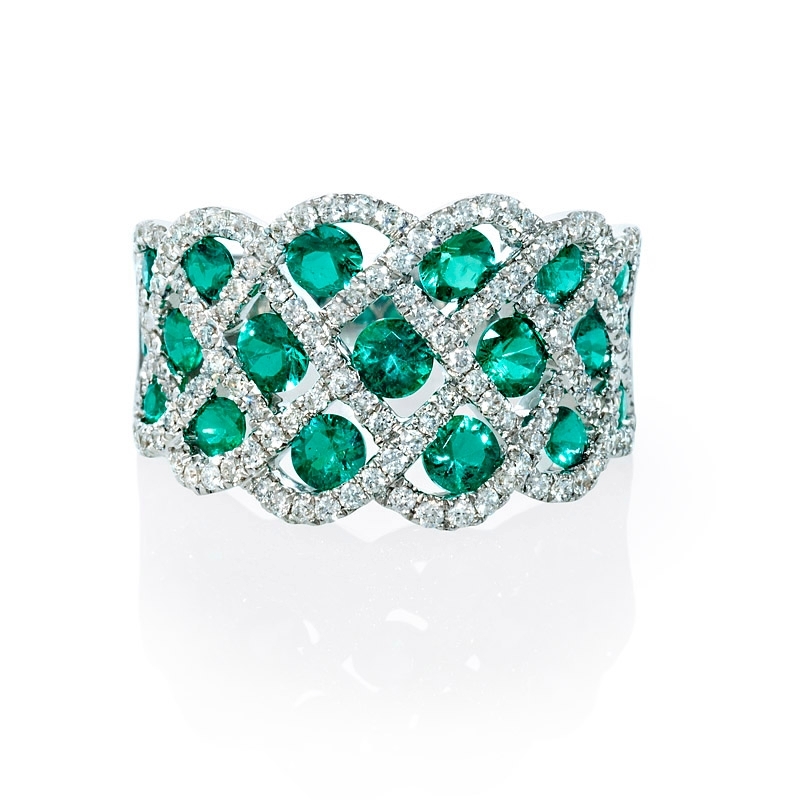 She complimented her simple yet classic look with a right hand ring featuring a cushion cut emerald weighing 15 carats and two sapphires 6.59ctw. Coming Soon – A brilliant jewelry gift idea designed by Charles Krypell. The New York designer’s newest Ivy love bangles are hand crafted with a discreet message expressing your love for her today, tomorrow, and forever. 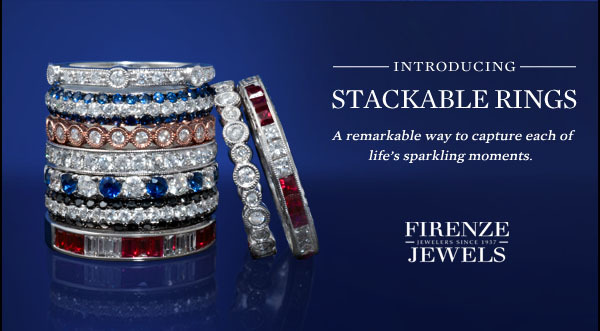 A set of three stackable bangles, will be available at Firenze Jewels in sterling silver or 18k yellow, white and rose gold. Sign up to our newsletter to be notified when the pieces become available for purchase. 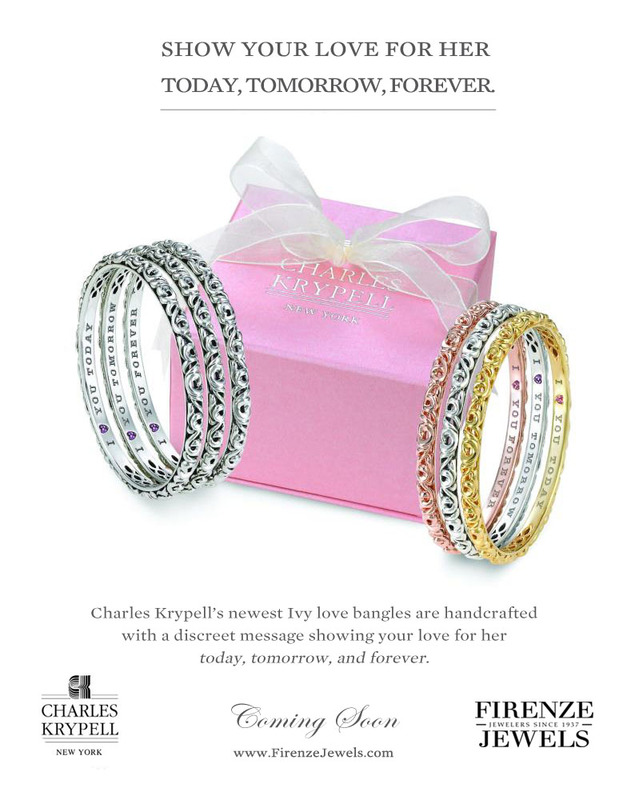 Firenze Jewels is an authorized Charles Krypell jewelry retailer. Diamonds are a Queen’s best friend. Several jewels of historic significance, encrusted in over 10,000 diamonds, are currently on display at London’s Buckingham Palace. The exhibition coincides with the Diamond Jubilee which celebrates Queen Elizabeth’s 60th year on the throne. Diamonds: A Jubilee Celebration showcases an unprecedented display of Queen Elizabeth’s personal jewels, including those inherited by six different monarchs over three centuries. With diamonds long being associated with endurance and longevity, the aim exhibition is to explore how these dazzling objects have been deployed by various rulers as symbols of beauty, power and diplomacy. This miniature crown is perhaps the most recognizable jewel worn by Queen Victoria, the only other monarch to celebrate a Diamond Jubilee. The design consists of a silver openwork frame, laminated with gold and is adorned with 1,187 brilliant, rose and mixed-cut diamonds as well as some diamond chips. Victoria was regularly depicted wearing it in paintings, sculptures, coins and photographs of her during her middle and older years. Most notably, she wore it in her official portrait in 1893 to be released marking her Diamond Jubilee on June, 1897. Initially commissioned by Queen Victoria, this piece has undergone various changes throughout the years. It currently features 25 graduated cushion-cut brilliant diamonds ranging in sizes of up to 11.25 carats, set in silver and gold links. The 26th diamond, known as the Lahore Diamond, weighs 22.48 carats and hangs as a pendant. This marvelous necklace was also worn by Queen Alexandra, Queen Mary, Queen Elizabeth the Queen Mother, and Queen Elizabeth II at their coronations. Also known as the George IV State Diadem, this piece was made in 1820 for the famed extravagant coronation of King George IV. This piece contains 1,333 brilliant cut diamonds weighing approximately 325 carats total and 169 pearls along the base. Its design features roses, thistles and shamrock motifs, respective symbols of England, Scotland and Ireland. The diadem was also worn during the coronation procession of Queen Victoria. It is perhaps Queen Elizabeth II’s most widely recognized piece, being worn at the annual opening of the Parliament as well as appearing on British and Commonwealth stamps, bank notes and coinage. Still holding its title as the largest rough diamond ever found, The Cullinan Diamond weighed an astonishing 3,106 carats in its rough state. In addition to its size, the diamond is celebrated for its extraordinary blue-white color and remarkable clarity. This exceptional rock was discovered at the Premier Mine in South Africa and got its name from the owner of the diamond mine. Rumor has it, the gem was initially tossed out the window as it was much too large to have thought to be a diamond. The stone was gifted to King Edward VII in 1907 as a token of loyalty. It took eight months and 14 hour brutal work days for a group of three polishers to create nine major stones, 96 smaller stones and nine carats of unpolished fragments from the stone. Two principal cuts of the diamond were used in the Crown Jewels and the rest were used to make brooches, necklaces and earrings to be worn by royalty, including Queen Elizabeth II. Cullinan I – The Sovereign’s Sceptre – Crafted in gold, this piece is set with diamonds, emeralds, rubies, sapphires, spinels, amethyst and enamel. It contains the Cullinan I, also known as the Star of Africa, which is the largest D color faceted diamond in the world. The pear shaped diamond weighs an astonishing 530.20 carats. Cullinan II – The Imperial State Crown – Crafted in platinum, gold and silver, this crown is adorned with rubies, emeralds, sapphires, spinel, pearls, velvet and ermine. The cushion cut diamond, also known as the Second Star of Africa, weighs a remarkable 317.40 carats. Cullinan III and IV Brooch – Crafted in platinum, this brooch is composed of the third and fourth largest of the diamonds, the Cullinan III, a pear-shaped stone weighing 94.4 carats and the Cullinan IV, a cushion cut diamond weighing 63.6 carats. Cullinan V Brooch – Crafted in platinum, this brooch contains the Cullinan V, a heart shaped diamond weighing 18.8 carats. This piece features a pavé-set border of brilliant cut diamonds, fine milgrain detail and a web-like design. This brooch was created with adaptability in mind. Cullinan VI and VIII Brooch – Crafted in platinum, the brooch contains the Cullinan VI, an 11.5 carat diamond that has been used in a number of pieces and the Cullinan VIII , an emerald cut diamond weighing 6.8 carats. The design of the brooch is similar to that of the Cullinan V and it too was created with versatility in mind. The Dehli Durbar Necklace and Cullinan VII Pendant – Crafted in platinum and gold, this necklace contains the Cullinan VII, a detachable marquise shaped diamond weighing 8.8 carats. 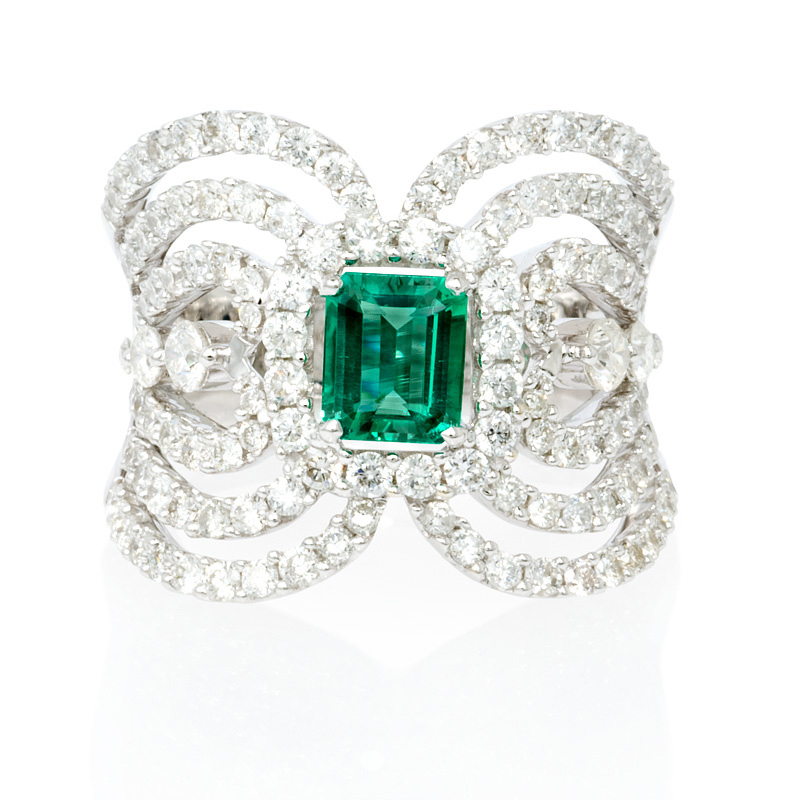 It also includes nine of the celebrated Cambridge emeralds. 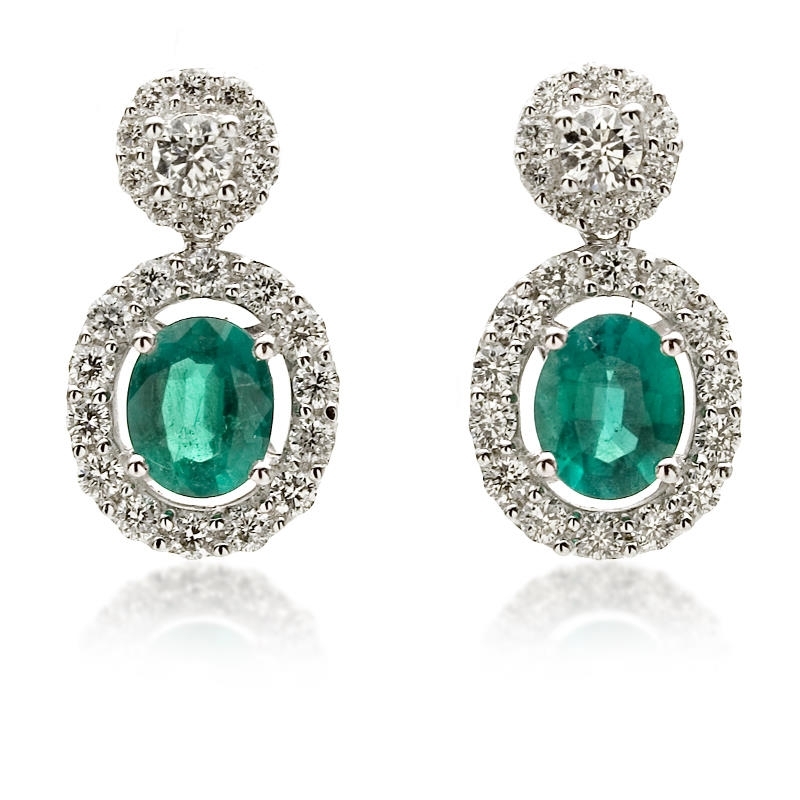 The cabochon cut emeralds are each surrounded by diamonds and sit alternating in between six large diamonds. 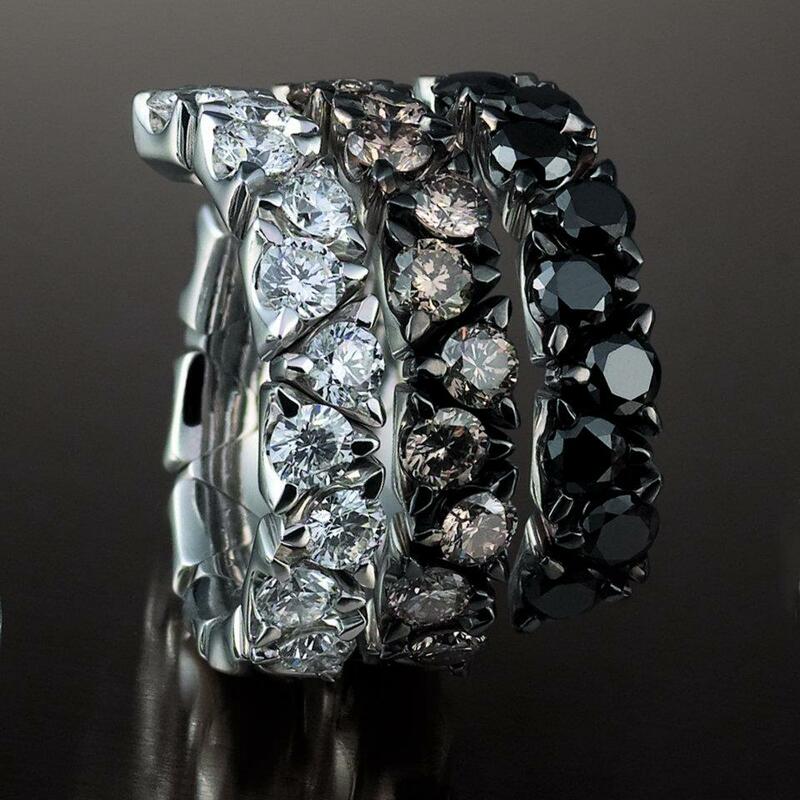 Cullinan IX Ring – Crafted in platinum, this ring contains the Cullinan IX, the smallest of the nine stones. The pear shaped diamond weighs 4.4 carats and is set in an openwork 12-claw setting. On its first ever public display, this diamond brooch, created for Queen Victoria in 1856, contains one a large emerald cut stone surrounded by smaller brilliant cut diamonds – a detachable brooch within itself. 12 large brilliant cut stones surround the outer row and 9 suspended pavé-set chains create the fringe effect. The larger stones of this diamond brooch are said to have come from one of two jewels presented to Queen Victoria by the Sultan of Turkey. The Queen’s journal of May 8th, 1856 indicates that Victoria appears to either not have appreciated the Sultan’s taste or could not wear the piece and thus the diamonds were reset. Victoria left the brooch to King Edward VII and it was subsequently worn by Queen Alexandra, Queen Mary, Queen Elizabeth who all wore it regularly. In 2002 it was passed on to Queen Elizabeth II who wore it at the State Banquet for the President of Turkey in 2011. This exceptionally crafted jeweled weapon was presented to King Edward VII by as a ceremonial gift by the Maharajah of Jaipur Sawai Sir Madho Singh Bahadur, marking the occasion of his coronation in 1902. The sword hilt and scabbard are crafted in gold, colored enamel and set with 719 rose-cut, brilliant cut and ‘lasque’ stones(flat, un-faceted diamonds more commonly used in Indian jewelry) which vary in colors from white to yellow. The combined weight of all the diamonds is estimated at over 2,000 carats total, with the largest of the diamonds thought to be the pale yellow diamonds, one of which is estimated at 36 carats. Given to Princess Elizabeth as a wedding gift in 1947, the flawless 23.6 carat Williamson Diamond is considered to be the finest pink diamond in existence. The 54.5 carats rough diamond was discovered in the Mwadui mine in Tanganyika, owned by the Canadian geologist Dr John Thorburn Williamson. It was speculated the stone might be mounted for use at Elizabeth’s coronation in 1952. However, Elizabeth opted to set the pink diamond within this platinum brooch featuring 170 brilliant cut diamonds, 12 baguette cut diamonds and 21 marquise cut diamonds forming the shape of a jonquil flower. For her 21st birthday on April 21st, 1947, Princess Elizabeth was gifted a magnificent necklace by South African Prime Minister, Field-Marshal Jan Smuts on behalf of the Government of the Union of South Africa. In its original form, the piece consisted of one long chain featuring 21 graduated round brilliant-cut diamonds, each diamond being linked by a baguette and two small round brilliants. The largest diamonds weigh up to 10 carats. The necklace has been altered twice, once in 1947 where the detachable snap-piece was added using a 6 carat stone, and again in 1952, where the necklace was shortened to 15 large stones and a bracelet was crafted with the six diamonds that remained. The exhibition is currently open until July 8th and then resumes July 31st to October 7th. Gorgeous shots of a new 2012 Garavelli ad campaign. Featured jewelry includes a right hand ring from their Parade collection and a bracelet and ring from their Coil Collection featuring white, brown and black diamonds.